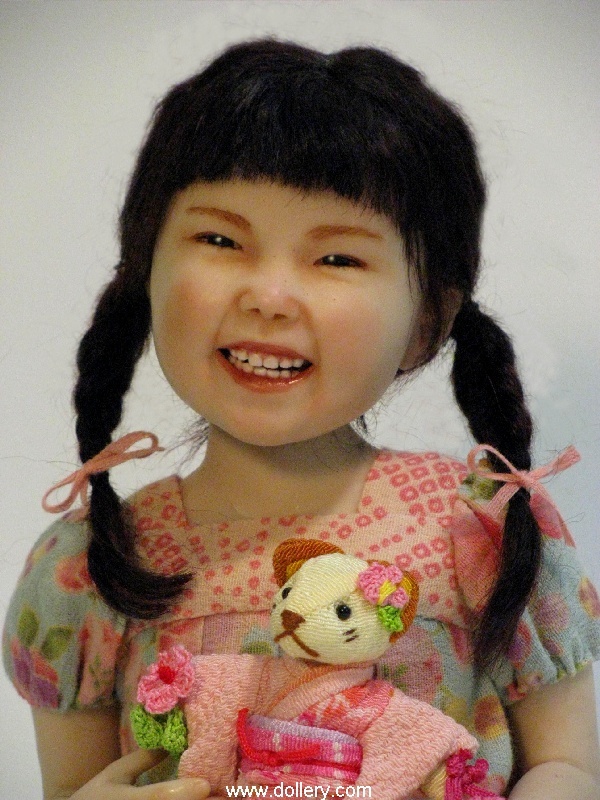 Stephanie has not made many dolls in the last few years and doesn't really attend shows anymore; however, she sitll welcomes custom orders as long as you are willing to wait. Be sure to ask if you are looking for a reasonably priced one of a kind! 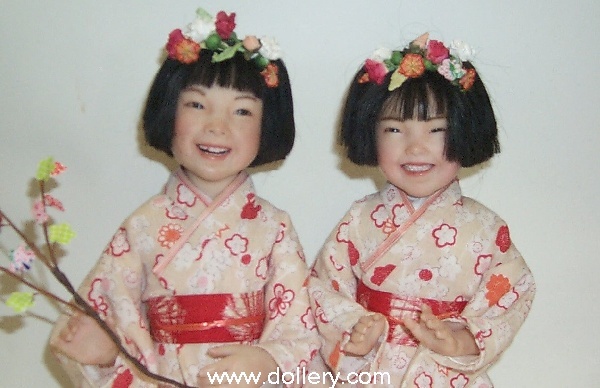 Her Asian dolls are especially wonderful. We hope to have more of her one of a kind work later this year as we are still awaiting some custom orders to be finished. If you are interested in Stephanie's work be sure to email us your address and number to join our Cauley mailing list for automatic updates on her work. We may also have some secondary market work available from her periodically so be sure to let us know what you love from her and we can see if we can get her to do a custom piece, or find it on the secondary market for you. 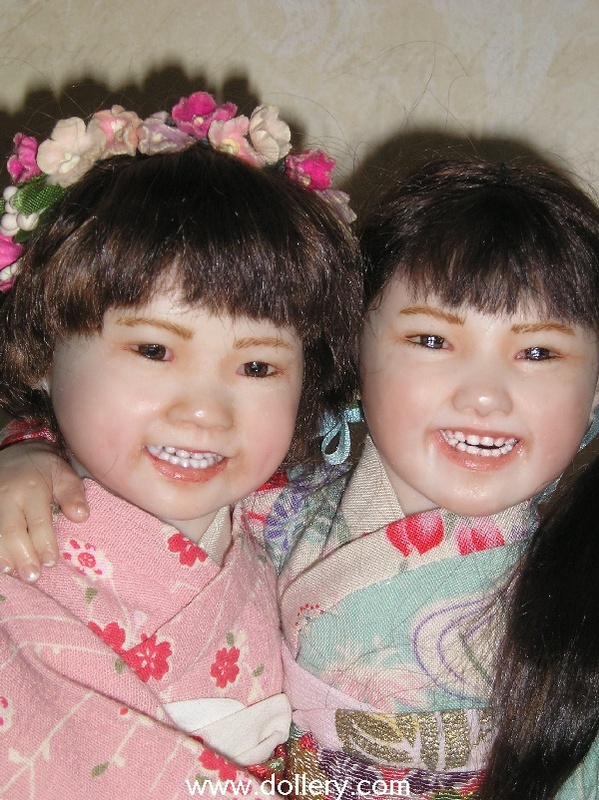 Stephanie has visited our shop for our annual doll shows for almost a decade. We love her work! Email kmalone@dollery.com if you are interested in Stephanie's work. 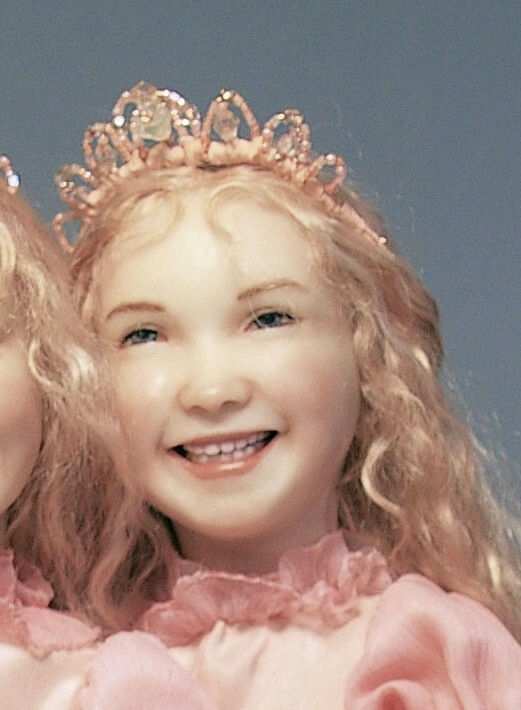 Stephanie Cauley at our 2009 Doll Show! 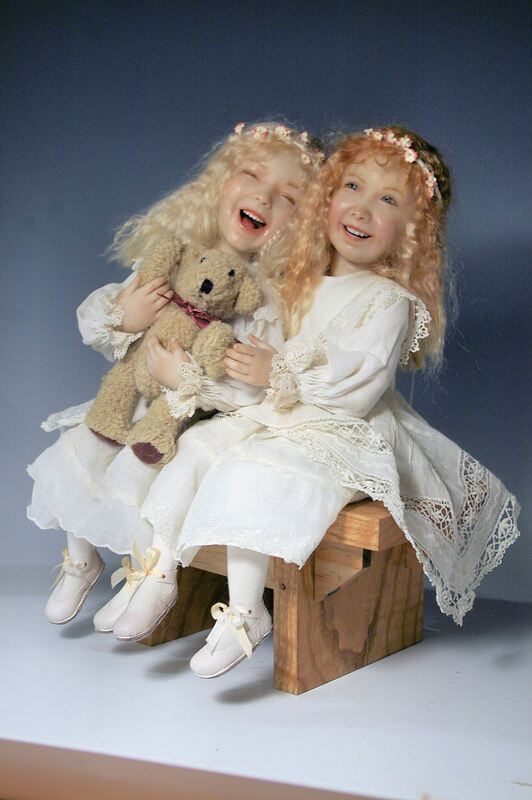 SOLD - New show doll - This beautiful ooak is gone but we take custom orders for Stephanie's work so be sure to contact kmalone@dollery.com and visit the main page of Stephanie's work on our site to get ideas of prior pieces sold that you might like something else like. Allow time, time frame is 3-6 months right now out on orders with deposit. 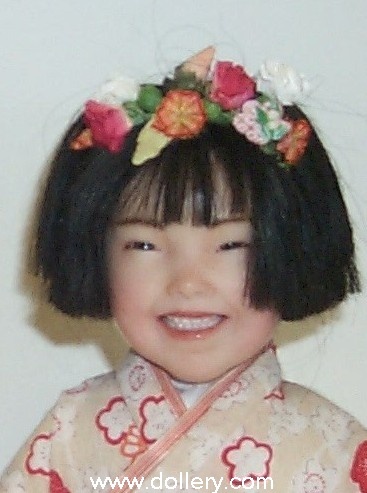 Click here to watch a video about this doll! 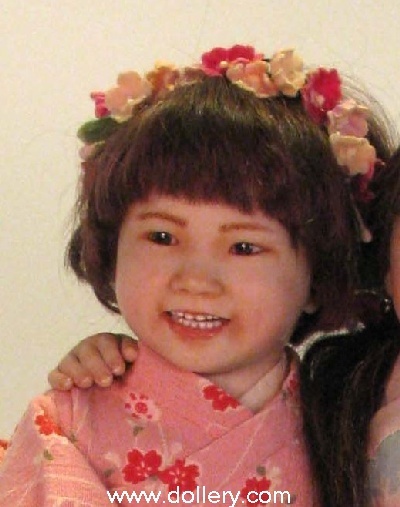 We are so pleased with this wonderful little Asian girl created especially for this year’s annual doll show. She has stolen our hearts with her innocent smile and adorable little bear. We love the vibrant colors that Stephanie chose to use. 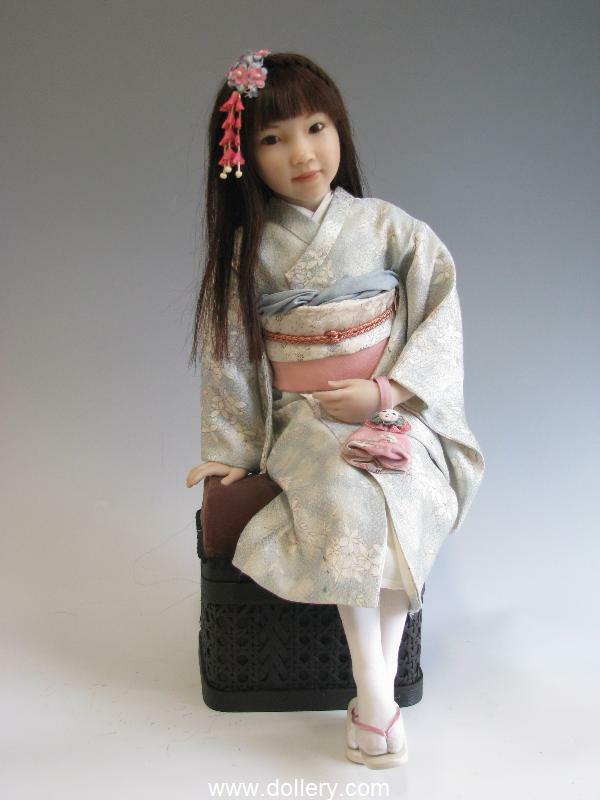 She is a younger doll then many of the little girls we have had in the past and also slightly smaller. Be sure to visit our online show the night of the show to view other surprises! Don’t forget to view our website as well to see all the wonderful work Stephanie has done for us in the past and inquire on custom orders. It takes her quite awhile so it is a good idea to get your order in the que! 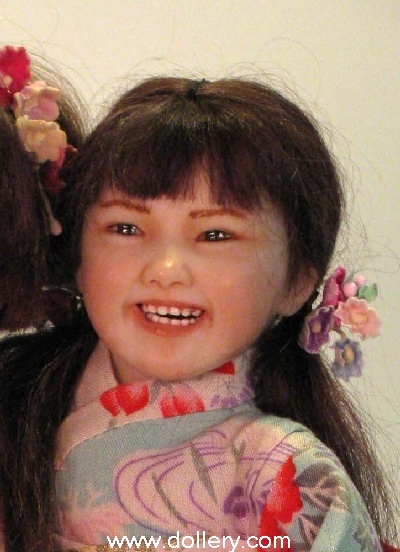 Click here to watch a video of this doll! 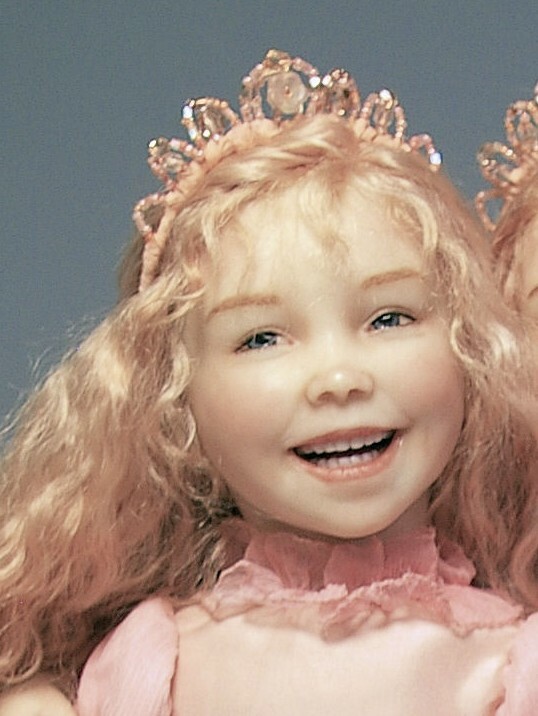 click here to watch another video explaining the different hair style on this doll! 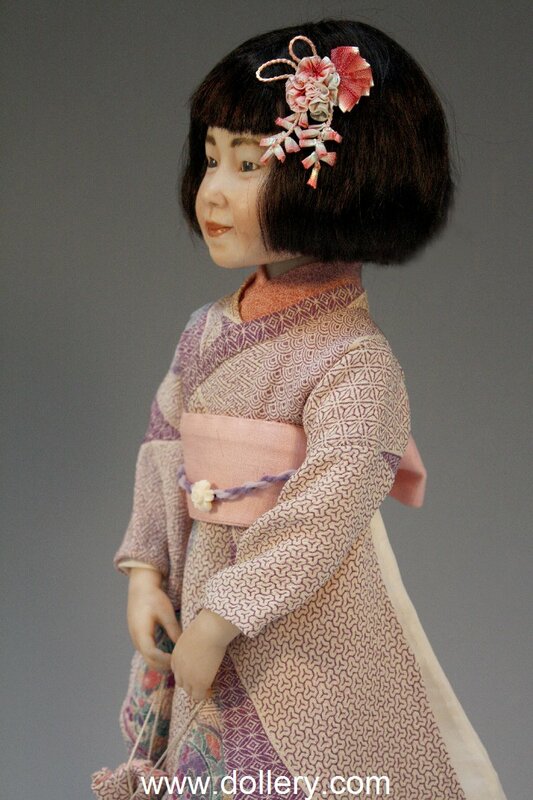 GIRL IN KIMONO - REDRESS - shown at Idex - SOLD - Taking custom orders now for similar but not exact dolls. 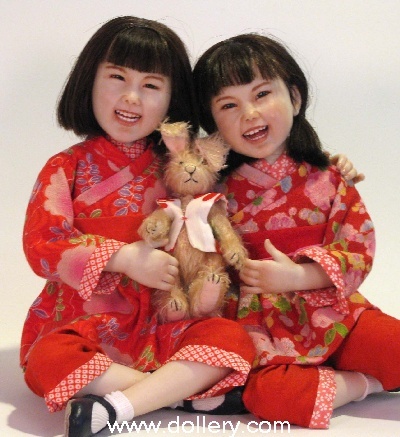 You choose the face you like and the costuming design in general (colors etc...) - then we will work with you and Stephanie to create the doll of your dreams! 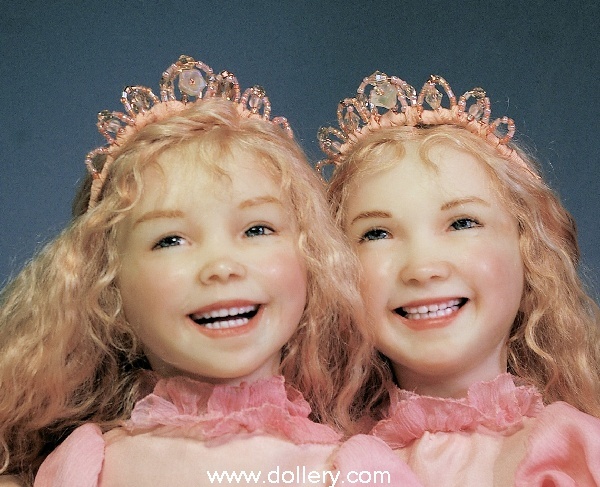 Contact kmalone@dollery.com to get on our Cauley mailing list. 25% down is required on custom orders with balance due when in but we can work with you on extended delivery dates. Stephanie will only probably do about 8 dolls total this year so be sure to get your order in the que! One of a kind trio. Poseable polymer clay heads, hands & feet. Cloth body & armature. Painted eyes, mohair. 12.5" standing. Each of these adorable little girls has armature in their bodies which allow for great flexibility and more engaging stories to transpire. Baby - Custom order! SOLD Be sure to contact kmalone@dollery.com for other custom order babies by Stephanie! 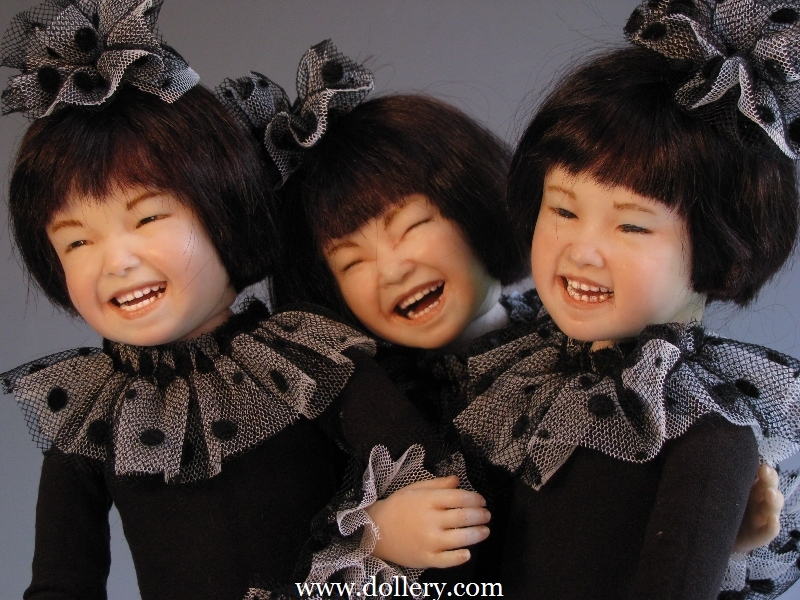 One of a kind, poseable cernit heads, cloth body & armature. 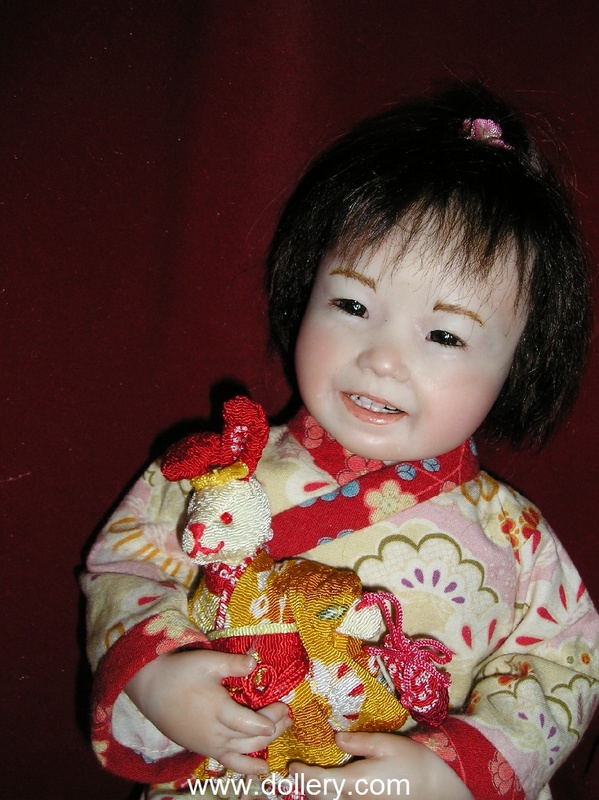 Painted eyes, human hair, 9" seated. Sold as a set only. Painted eyes, human hair, 13" standing. Sold as a set only. Stephanie Cauley at our 26th Doll Show! One of a Kind, Poseable, cernit head, cloth body and armature. 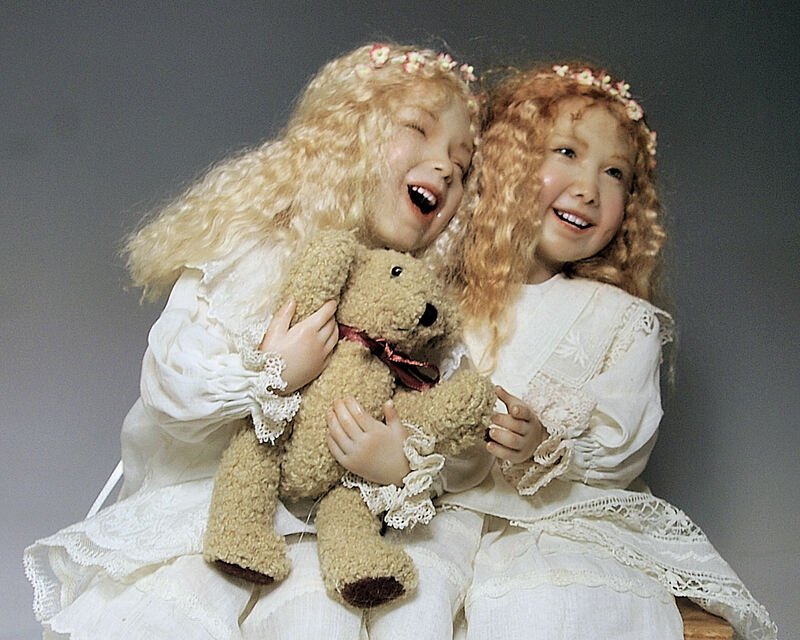 Painted eyes, mohair, 10" seated. 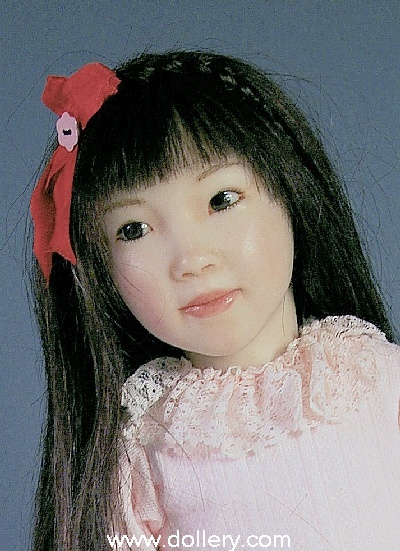 Asian Girl, Show Priced at $1,100 - SOLD! 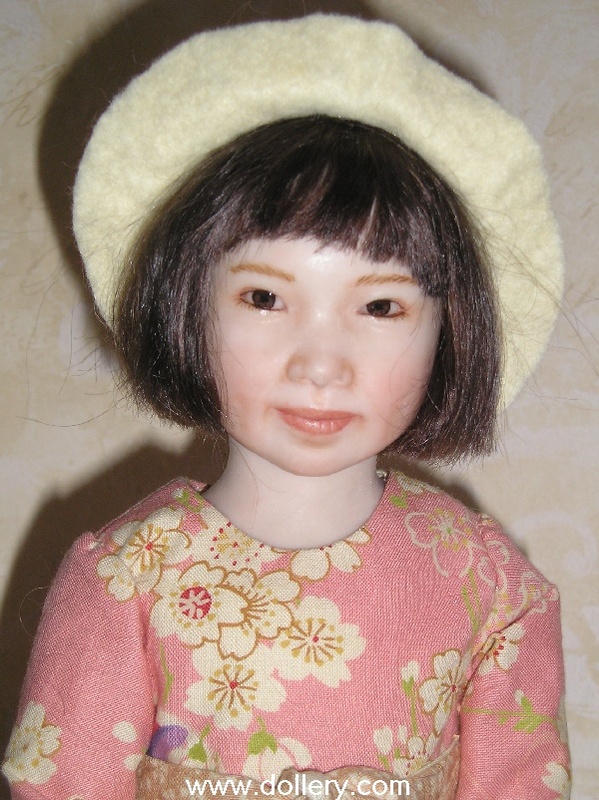 15" if could stand, One of a Kind Cernit head, cloth body and armature, painted eyes, human hair. 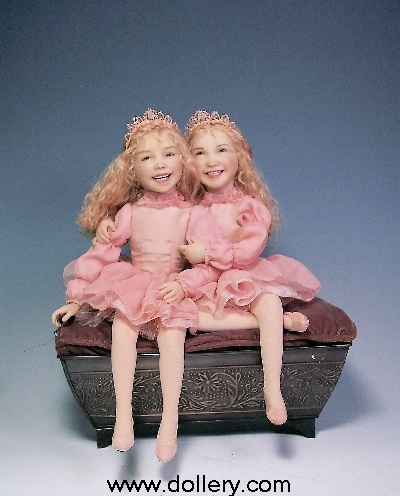 Little Princesses (below), Show Priced at $2,100.00 - SOLD! 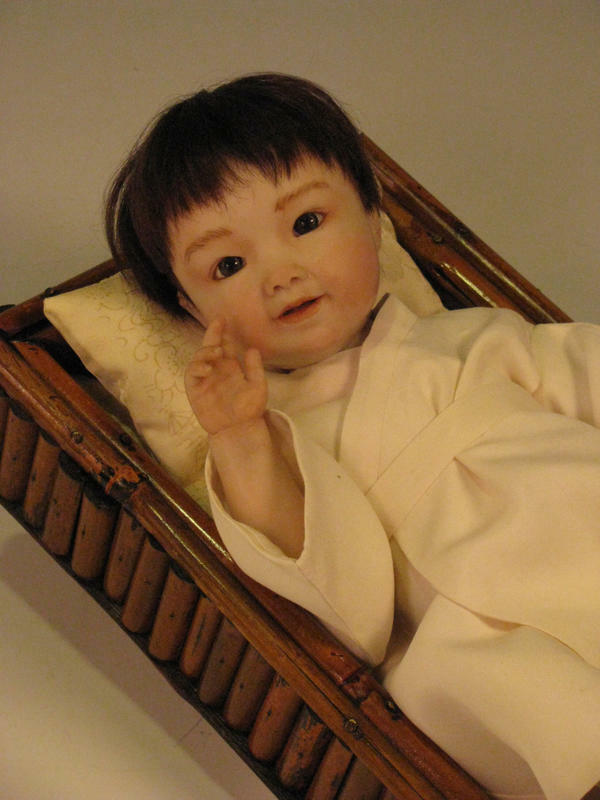 14" seated on base, 15"-16" if standing, One of a Kind, Cernit heads, cloth bodies and armature, painted eyes, mohair. 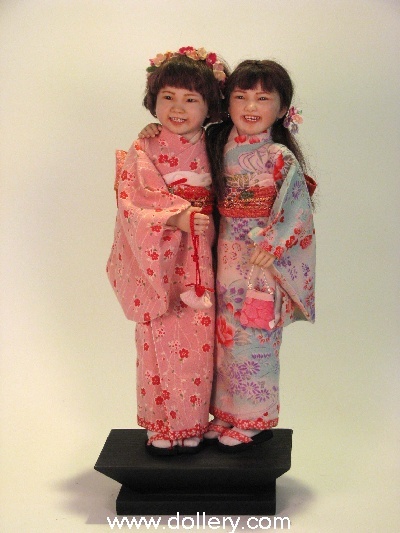 Yukichan (below) - Dollery Favorite! 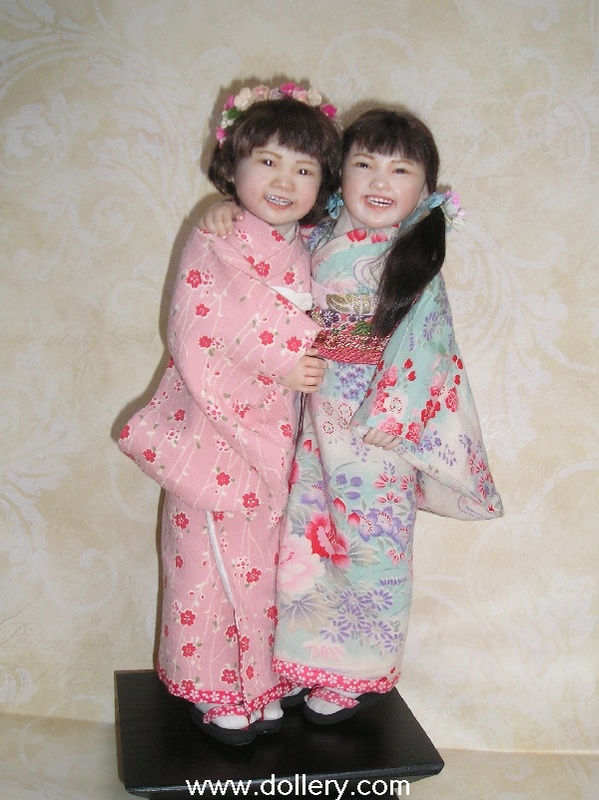 Dressed in Japanese cottons holding a Japanese wind toy and ready for the Children's Festival. 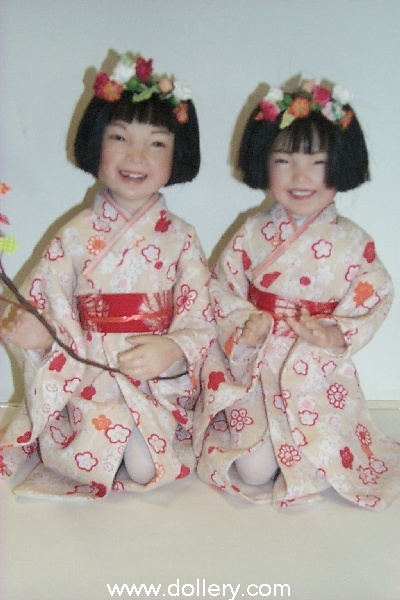 The Asian Dancers are dressed in cream silk, leotards and tutus. heads are not poseable. 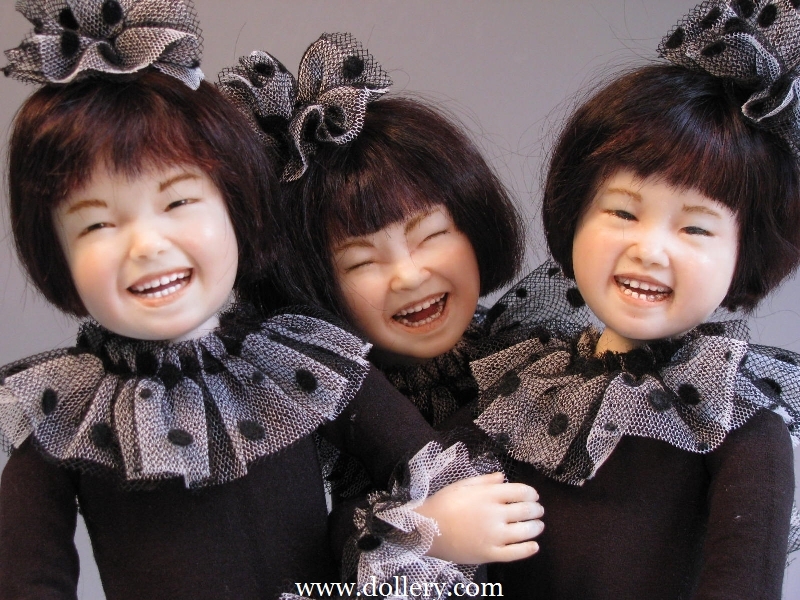 The Laughing Asians are dressed in cotton pants & jumpers made from Japanese cottons. Heads are poseable. 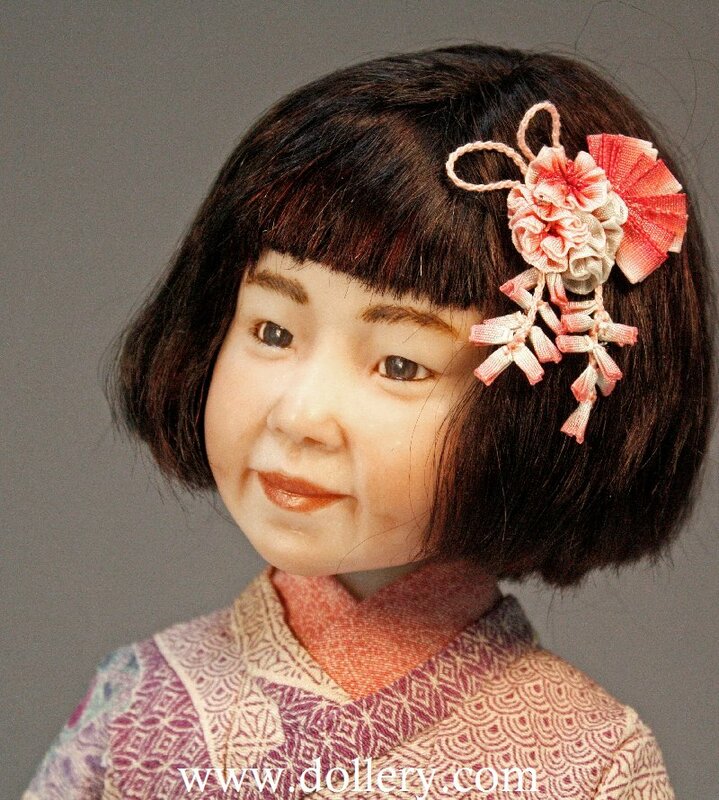 Yoshiko is dressed in silk velvet pants with vintage Japanese silk blouse and Japanese chirimen fabric vest. She has a poseable head. Kim comes complete with her stuffed panda and basket stool. 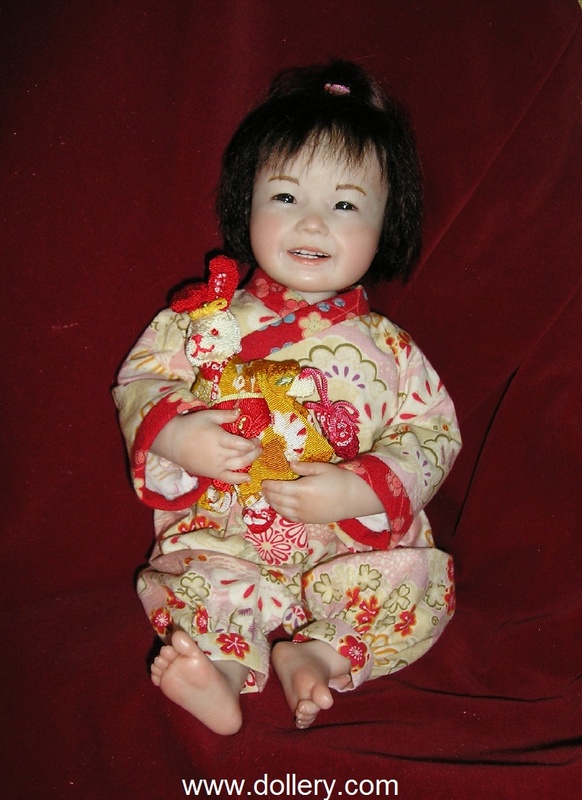 She is dressed in quilted cotton pants and an adorable Asian print shirt and pinafore. The teeth are amazing. 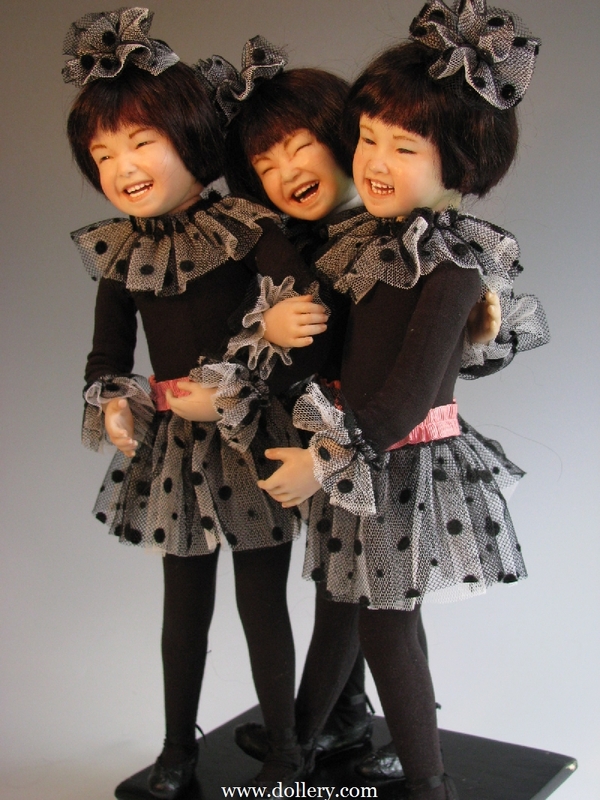 One of a Kind Dolls - Click On Photos For Entire Image!